Oreste Popescu was born in Romania in 1913. He has held a number of academic posts, including technical consultancies on various UN/UNDP programmes, and has published more than 100 papers in addition to several books. 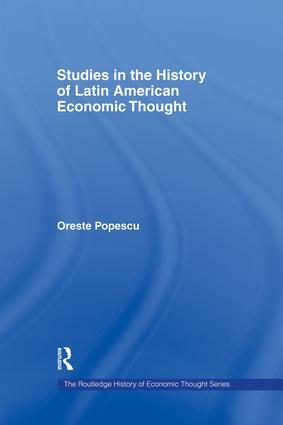 He currently teaches at the Argentine Catholic University of Buenos Aires and directs the Institute of History of Latin American Economic Thought.